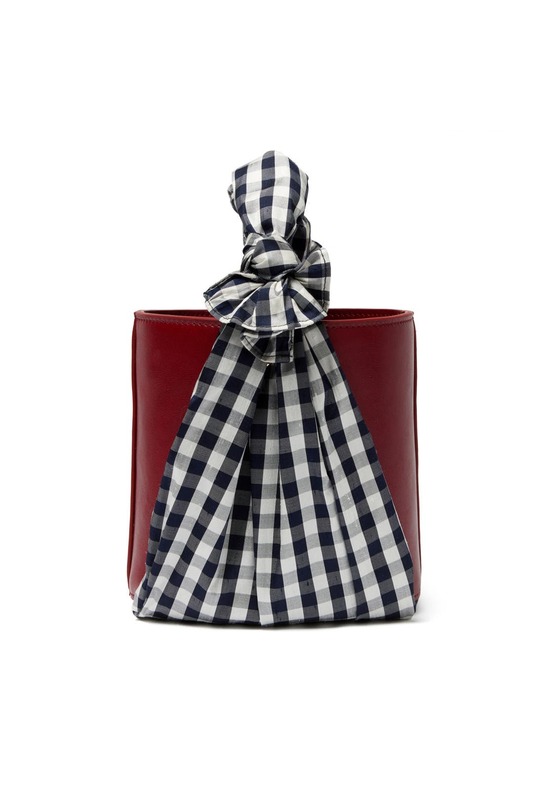 Silk gingham fabric wraps this sleek Lizzie Fortunato bucket bag with springtime charm. 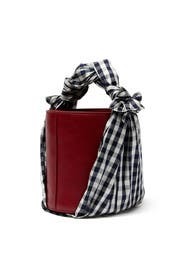 Dark rust red leather bucket bag with gingham fabric top handle. Open top and protective feet. 6"L x 6"H x 4"D.
Which unfortunately was the problem! From the picture, I expected a tote bag that I could use for my work bag, but it is way too small for that. So, check the size! Other than that it was quite cute. It had an internal pull-string pouch that would help keep things inside the bag, which I thought was a nice touch.